A few years ago – in 2012 – my obsession for the Welsh Cob started. I was searching on the internet as a fool to learn more about the breed. I also read a lot of Dutch Welsh Cob Bulletins, clubmagazines made by the Dutch Welsh Cob Club. 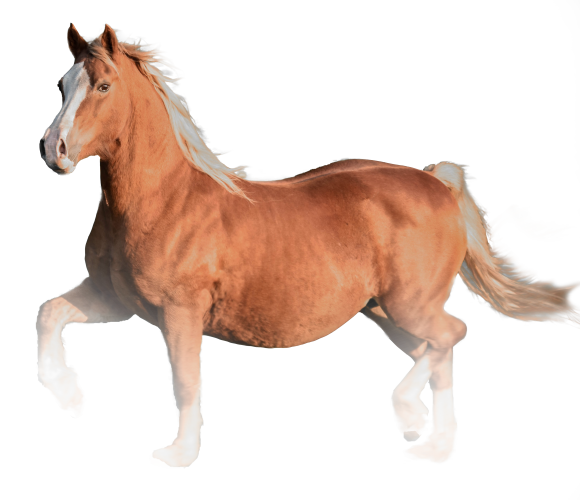 Lilian Pruissen from the Rhiannon Stud wrote articles for this magazine, with lots of explanation of how a true Welsh Cob should look like in her or his conformation. Although I didn’t understand all of the terms directly, I really loved it to read! My admiring for Lilian was huge and in the summer of 2012 I visit her and her husband Cees on their beautiful farm. In the summer of 2015 Lilian asked me if I knew someone for her apple of her eye, Rhiannon Seren. At that moment I had never seen Seren, because when I visit Lilian in 2012 Seren was in Wales to be prepared for the Royal Welsh (were she became 13th in a strong class)! I said to Lilian that I would love to visit her again to have a look at Seren. So I went to Lilian, and there I saw a beautiful chestnut mare, who was very deep bodied. I liked her immediately, such a nice head and o yes, she could move too! So ‘the deal’ was made very quickly, Seren was coming to my place to become, hopefully, a broodmare in my small stud! I know it was a very hard decision for Lilian to let Seren go, but I am sincerely thankful for this opportunity. Seren is out of the foundation mare of the Rhiannon Stud – Degla Classy Lady – and by the as a foal to the Netherlands imported – Trevallion Telynors Prince – who himself is a maternal sibling to 2013 Prince of Wales Cup Winner Trevallion Black Harry and 1997 Prince of Wales Cup Winner Trevallion Giorgio! 2016 will be the first year Seren will be covered under my stud name.. I can’t wait..! 2004 – Rhiannon Tomos – Chesnut colt by Danaway Hooch. 2006 – Rhiannon Olwen – Chesnut filly by Danaway Hooch. 2007 – Rhiannon Eirlys – Chesnut filly by Armanis diplomat. 2009 – Rhiannon Tawela – Chesnut filly by Menai Firestorm. 2010 – Rhiannon Eleri – Bay filly by Tireve Welsh Flyer.